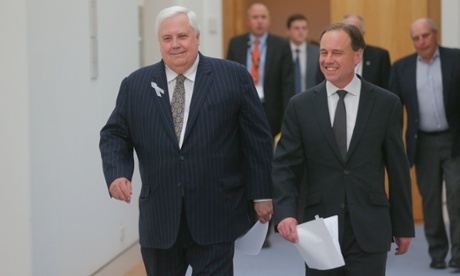 PUP leader Clive Palmer and environment minister Greg Hunt at Parliament House in Canberra on 29 October 2014.
emissions trading scheme or a carbon tax. Palmer … we don’t need another inquiry. We need action,” he said. backing from the business community. The government has also agreed to retain the Climate Change Authority – which it was once committed to abolish – to undertake the investigation into an ETS and future reduction targets, and provide reports to parliament. organisations that volunteer to reduce their emissions. But Hunt insisted there would be no revenue raised as a result of the “safeguards”. the election campaign he preferred to just “have a crack”. what that target should be. 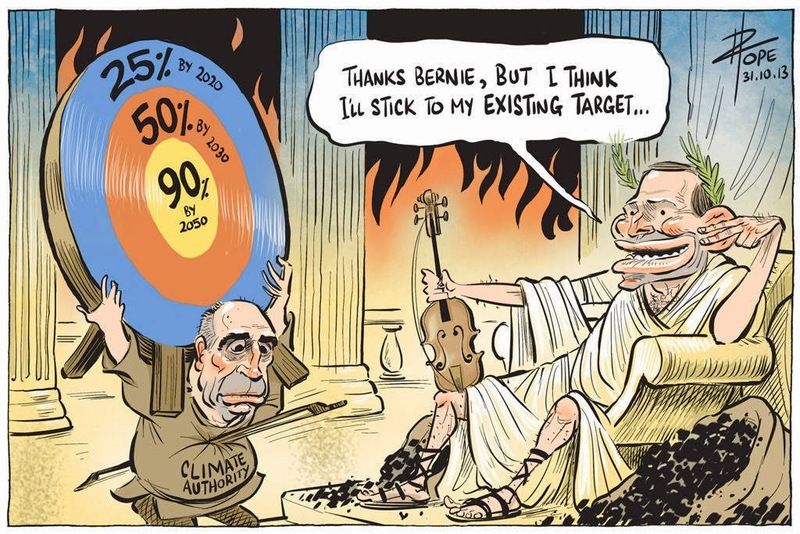 contribution to global efforts” to constrain global warming to 2C. more cheaply than he had originally anticipated. The terms of reference for the CCA review show the report could embarrass the government just as this pressure is intensifying.